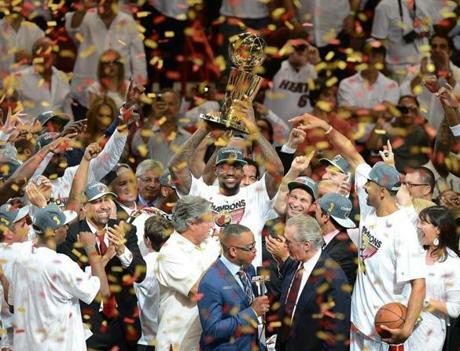 Lebron James celebrates with the Miami Heat. After 9 seasons in the NBA Lebron James showed the world that he was in fact a champion. The Miami Heat defated the Oklahoma City Thunder and their young rising superstar Kevin Durant in 5 games to win the NBA Title. This Miami Heat team was heavely favored going into the season to take the title. They had some rough moments in their Eastern Conference Finals series against the Boston Celtics but they came out on top and advanced to their second NBA Finals in a row. Lebron showed a level of play and maturity like we have never seen from him before. Lebron can have a nice relating summer and pick up the pursuit of more NBA Titles in the fall. The Kings shocked the world this year in the NHL Playoffs. 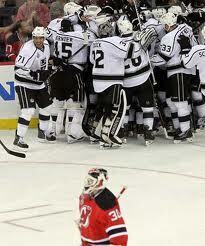 The surprising L.A. Kings won the Lord Stanley’s Cup in 6 games over the New Jersey Devils. This Stanley Cup victory will never be forgotten by the hockey world or the sports world for that matter. The city of L.A. needed this victory at a time when the Lakers and Clippers both were knocked out of the NBA Playoffs early. The city of L.A. got red hot over the Kings outstanding postseason run. Many casual fans that disappeared when Wayne Gretzky left the team for the Rangers in the late 90′s were back. The American Hockey scene needed this victory as well. This could spark excitement and push the sport even further in the American Culture. The Giants Matt Cain pitching perfection. 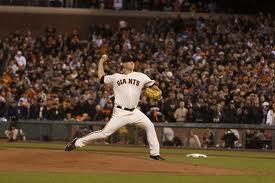 On the 13th of June the San Francisco Giants starting pitcher Matt Cain threw baseball’s 22 perfect game ever. This was the second perfect game this season, Phil Humber of the White Sox threw a perfect ball game in April against the Mariners in Seattle. Matt Cain’s perfect game ended in a score of 10-0 against the Houston Astors. Stat wise this could be considered one of the best perfect games ever. Matt Cain struck out an impressive 14 batters during the game. A feat which had only been done one time before when Sandy Koufax threw a perfect game in 1965. The great game had a great moment at the end when Cain met his wife in the dugout to celebrate his history making performance with her.